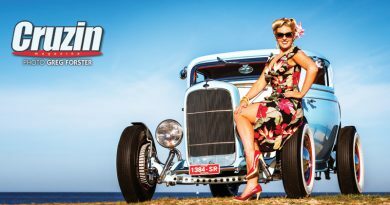 After finally completing the extensive endeavour of recreating one of the most famous Mustangs ever to be immortalised on the silver screen, “Eleanor”, Wasyl Rosati succumbed to his passion for an old school hot rod to share stable space. 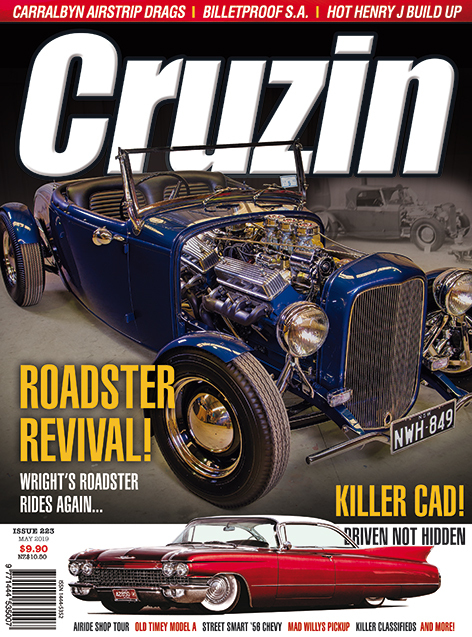 With one extraordinary set of wheels now ticked off his wish list and a new found collaborator that he could trust, Wasyl made the call to Andy Minas of Andy’s Restorations to inform him of his new plan. 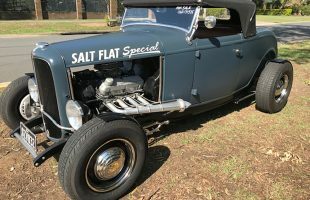 He also admits that the roadster is not something that he had been dreaming about for eons, but when he became car struck by vintage iconic hot rods, he soon realised that the ’32 is the car to have. Who can blame him, countless others before him have fallen for the same temptress. 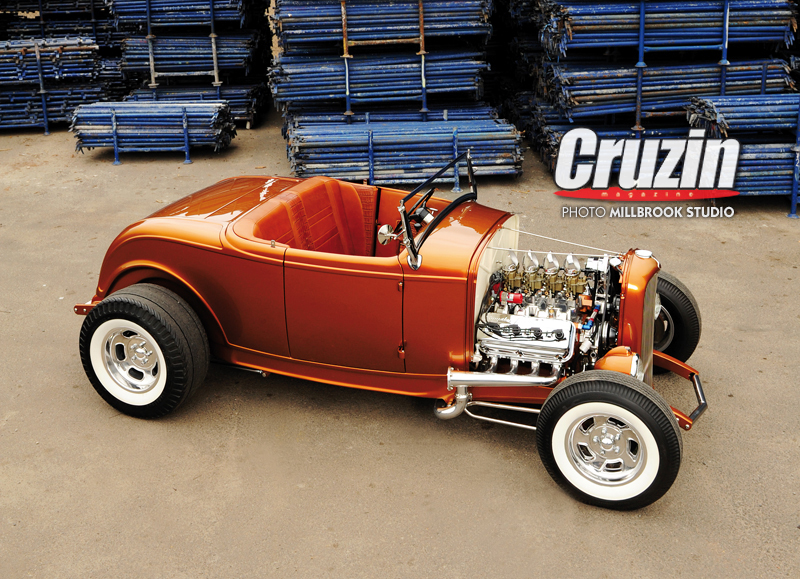 Andy has more contacts in the auto-refinishing industry and the hot rod community than he cares to admit, so it didn’t take long to uncover a suitable canvas to create Wasyl’s ultimate old school roadster. 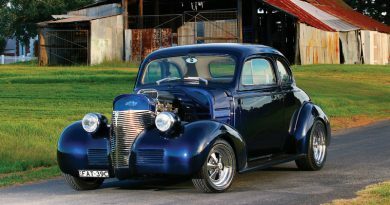 “The steel body was a stalled project that had lost the interest of its owners,” Andy recalls. 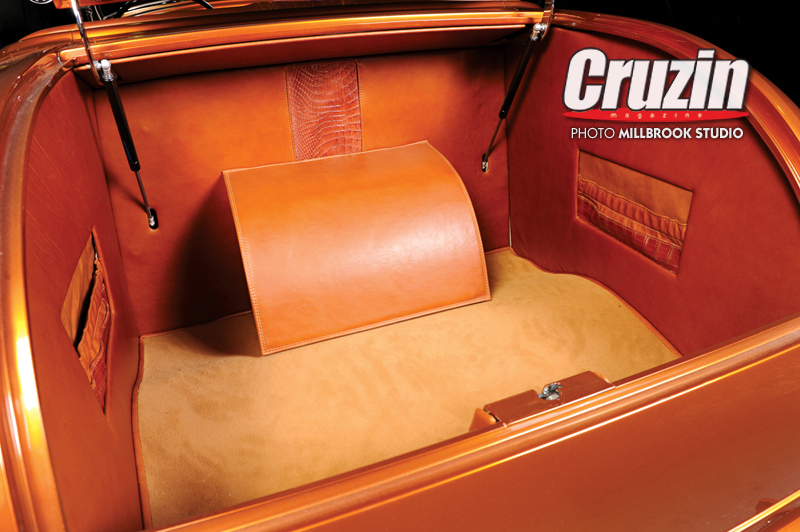 “At the time of purchase it was already in epoxy primer and we were wrapped. 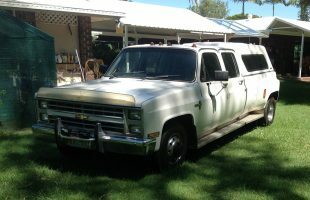 I found it through a friend and it was perfect for the project, until Wasyl loaded it onto a trailer backwards! As it rolled onto the tailer the drivers door popped open and got caught, the momentum just about ripped it off bending the hinges and pillar,” he concludes with remorse. 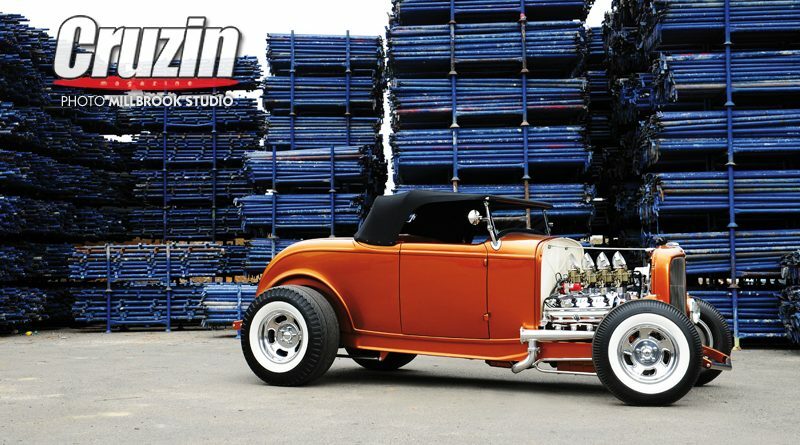 Like all novice hot rodders before him, Wasyl pored over magazines and scoured the internet for ideas. 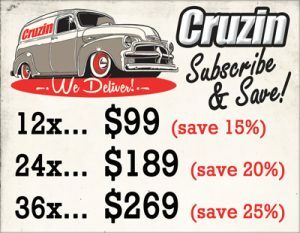 Some made the cut and others made the bin, but it was all a massive induction to a new world where big motors stuffed into stripped down old cars ruled. 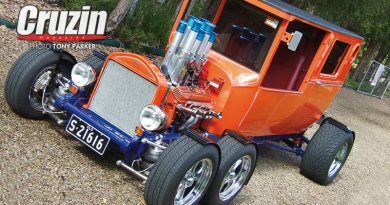 Once securing the body, Andy kick-started the entire project by acquiring a complete rolling chassis that would fit the bill. 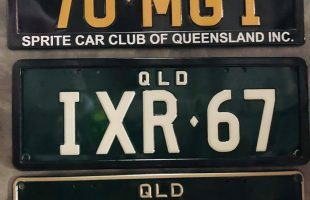 The 1932 boxed frame was additionally strengthened with a RHS X member constructed from one-inch square tube fabricated in a mirror image (upper and lower) configuration. 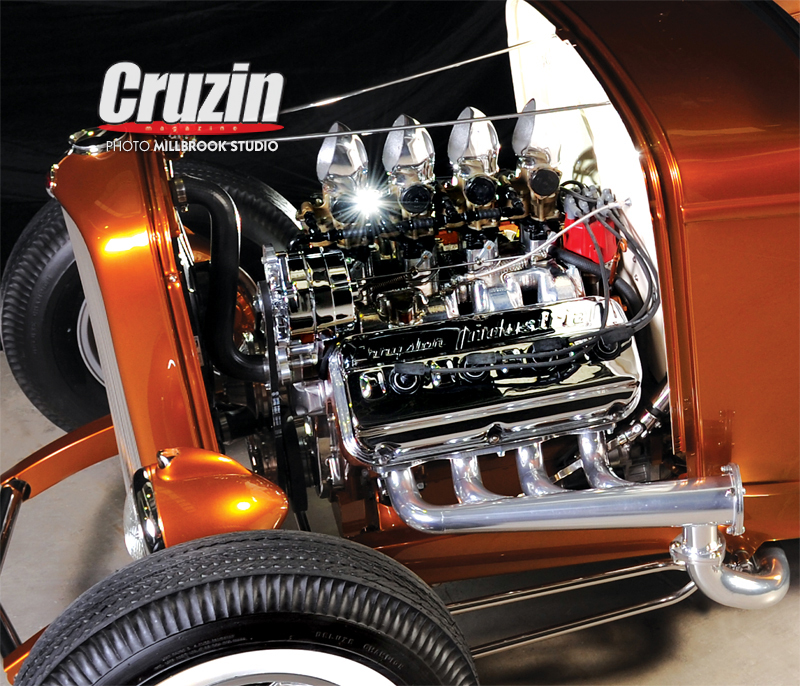 Preferred stance is achieved by employing a Model A front crossmember while outback, parallel four bars secure a Ford nine inch third member suspended by Aldan coil over shocks. A pan hard bar helps control sideways action. Back at the pointy end, a catalogue of So-Cal Speed Shop components plant the nose slanted towards the pavement with good looks and superior braking capabilities. 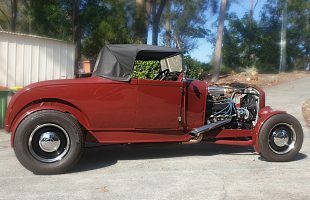 Although the majority of the chassis work was “ordered in” to speed up the process, Andy was in charge of motor installation and shoe horning the Chrysler Hemi engine into a spindly pair of 30s rails takes a little finesse. 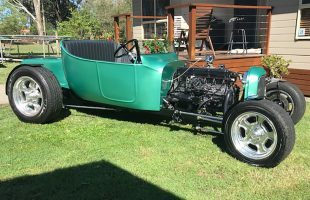 The thought process to include steering geometry from the opposite seating position of most Aussie hot rods was emphatic to the build. “That’s how Henry Ford built them and all the images of cool ‘32s that I liked were the same,” Wasyl explains. 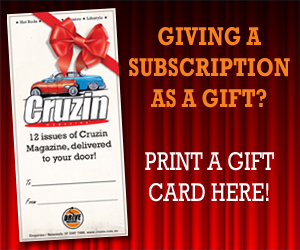 “I chose the Hemi as that was the motor to have if you could afford one back in the day. Like most things, I looked for so long for a Hemi and once I bought one, two others popped up,” Wasyl laughs. With the big Mopar mill anchored into the frame, Andy fabricated a gearbox mount to accommodate the Turbo 400 transmission before the entire ensemble was blown apart for paint and detailing. Andy is an accomplished painter in his own right and so having American paint ace Charley Hutton finish the car might seem to be an unusual deviation. “After a few beers with Andy, the idea of having Charley paint the car came up and it just grew from there, it became bigger than Ben Hur. 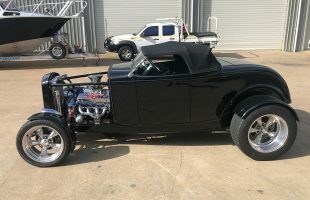 Having Charley paint the car when Andy rebuilt it was in no way derogatory to Andy’s ability, it was a just a neat idea that manifested into what it became,” Wasyl admits. 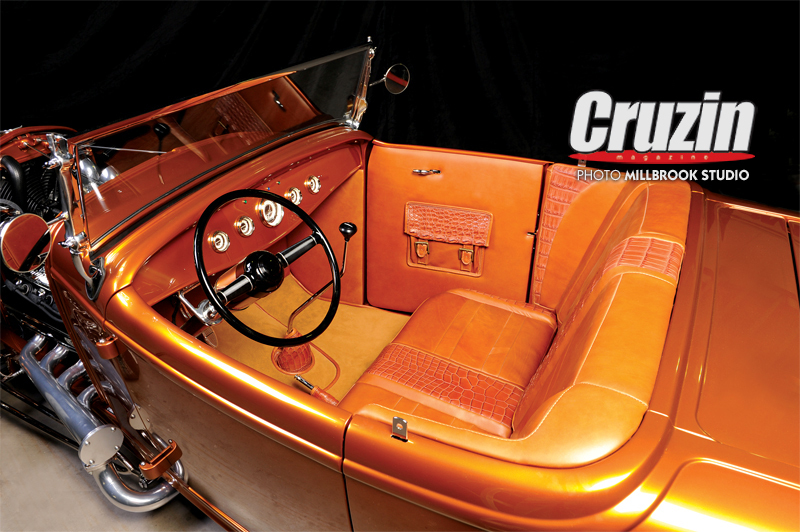 After researching the evolution of hot rodding and its grass roots beginning, Wasyl wanted his roadster to capture the essence of early hot rods that would reflect the past. 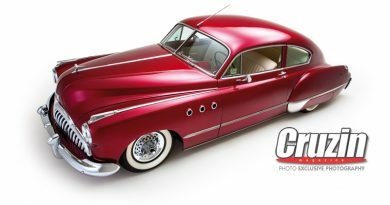 That plus Charley’s linage with the legendary Boyd Coddington fitted perfectly within Wasyl’s overall vision. Having the paintwork applied by one of the best painters in the world today just adds another element that makes this car special. Straight off the plane from the US, Charley downed an egg and bacon roll for brekkie before he picked up a brand new spray gun and started shooting colour until it was done. Before Charley departed he presented Wasyl with the signed spray gun as a gesture of good friendship and appreciation of inaugurating another chapter in his effervescent career. As the exterior lay perfect though lifeless, it was up to Andy to administer the final vivacious stage of the process by buffing the entire assortment of components to a mirror like finish. Even the chassis wasn’t overlooked as Andy cut and buffed all that the eyes can see. The heated seats are also a plush inclusion to occupant’s comfort but the pair stopped short of installing air-conditioning. “Andy said no and I would have been too embarrassed to have it,” Wasyl laughs. 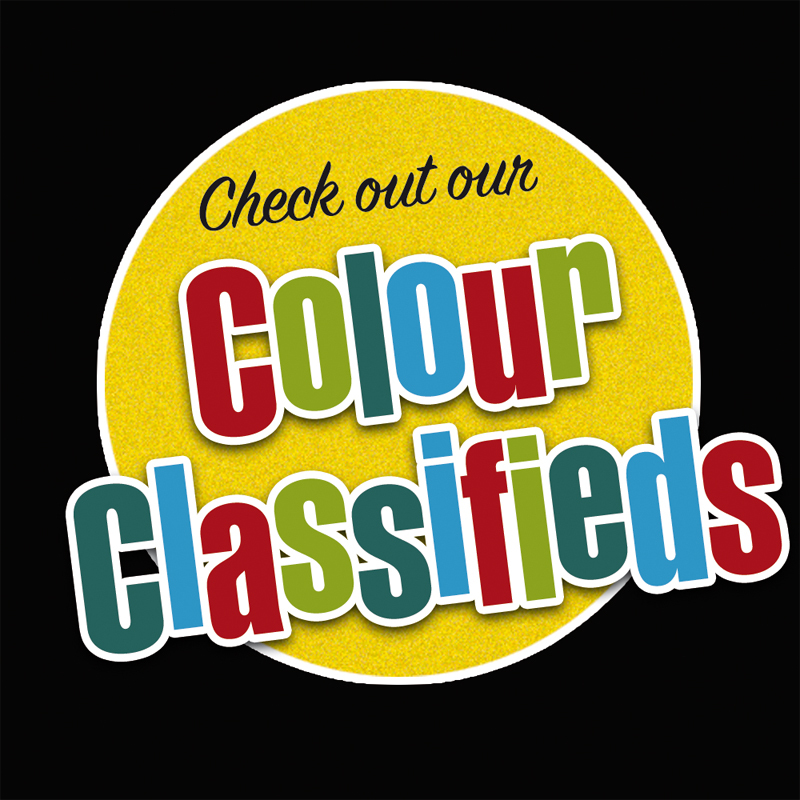 “The paint work is a one off and can’t be replaced. It was a good project that went extremely well, aided by Andy’s vast experience at crafting quality vehicles for almost four decades. I have no way of achieving what Andy can so I left it to the expert. I just know what I like,” Wasyl concludes. 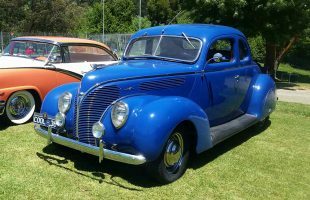 After just one year of the get-go, Wasyl had a new thoroughbred to tame, as up until the presentation of the keys he had never driven a hot rod before. After mashing that go pedal hard on the toe board with a lively Hemi, he was grinning from ear to ear. Imagine what he’ll plot next. 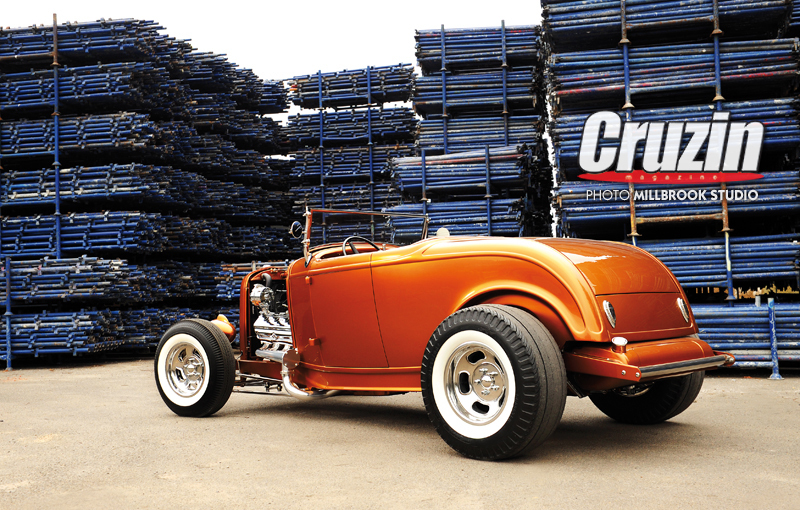 FEATURED CRUZIN #176, WORDS BY DALE HABERFIELD, PHOTOS MILLBROOK STUDIO.